layer before you go. The EveryTrail layer showcases GPS trails captured by outdoor adventurer with pictures taken along the trails. 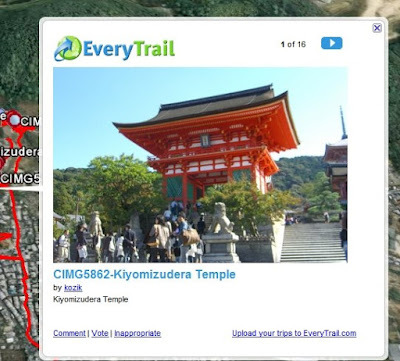 Download a trail by clicking on any picture in an EveryTrail balloon and start a virtual tour of your destination. If you prefer strolling around cities, there are plenty of trips in EveryTrail layer to help you discover best places to visit. As holiday season approaches, are you planning a trip somewhere? If you are an outdoor person and would like to make hiking, biking, or even flying part of your fun, then make sure you check out the new EveryTrail layer before you go. 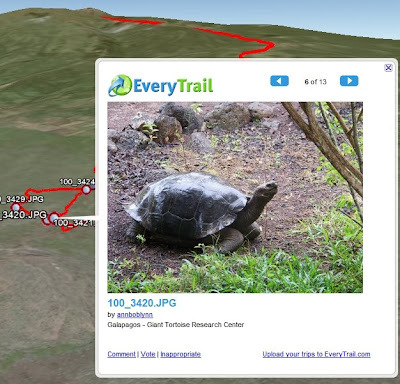 The EveryTrail layer showcases GPS trails captured by outdoor adventurer with pictures taken along the trails. 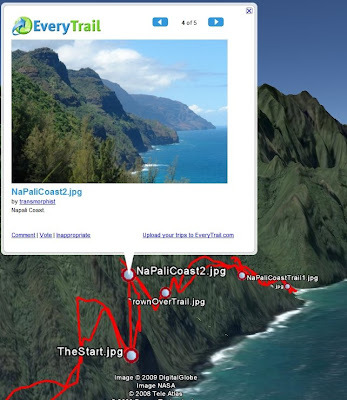 Download a trail by clicking on any picture in an EveryTrail balloon and start a virtual tour of your destination. If you prefer strolling around cities, there are plenty of trips in EveryTrail layer to help you discover best places to visit.